Haunt Tech 101: Don’t be afraid of Animatronics!!! An Introduction into getting started with bigger and better scare! There are so many people that love Haunts and Halloween but get stuck not knowing how to take things to the next level without feeling like they have to be an engineer, rocket scientist, or computer programmer. Brian is here to provide you with an easy-to-follow understanding of basic animatronics, as well as teach you some simple ways to incorporate fun and easy next-level scares into your haunt without losing your mind or your life savings. •	Types of controllers and how to program them. •	Demonstrations of different animatronics and scare effects. Brian has been a professional Haunter for well over a decade, incorporating his love of scaring and making people laugh into his characters. 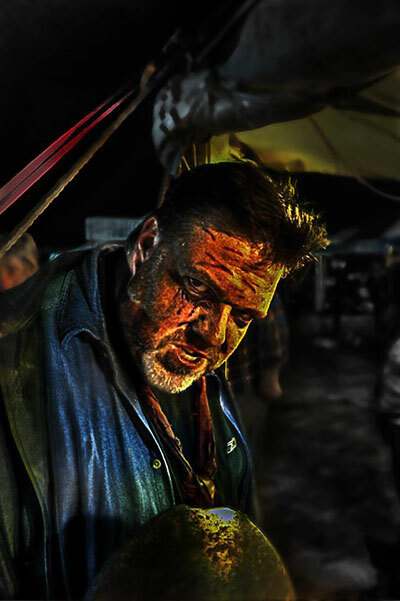 He began his professional Haunt career as a seasonal actor in the mid-2000’s at Schaefer’s FrightFest, where he would often help build, dress, and distress the haunt sets before each season. In 2011, he began working at Scare Farm in Hillsborough, NJ (known as Creepy Hollow at the time) acting and helping build and design the sets and scares. As his skills and experience grew, Brian eventually became one of Scare Farm’s Haunt Managers and dedicated Tech Manager, where he continues to build and design all kinds of new and exciting sets, props, animatronics, audio tracks, and scares. In addition to being an actor, tech manager and haunt manager, Brian is also the Co-Owner and Lead Designer of Scared Stiffs, Ltd – New Jersey’s premier manufacturer of Custom Props, Scare Effects, and Handheld Noisemakers for Haunted Attractions, Events, and Amusement Parks around the world.